In the August edition of Rock the Earth Notes, we excitedly announced the commencement of our work on Foo Fighters’ late summer/fall tour. Although we never know when we start working with a band for the first time how we will be received, now that we’ve worked over a dozen shows by the seminal rock band, we’re happy to say that we couldn’t be more pleased with the reception we have gotten from Foo Fighters fans! In a tour that kicked off in our home state of Colorado then traveled throughout the mid-west before re-launching on the West Coast leg of the tour, fans at all the shows engaged us, supported us, joined us, and signed hundreds of postcards to protect Colorado’s Roan Plateau. Along the way we worked at storied venues such as Wrigley Field, The Gorge Amphitheater, and the house that Bill Graham built, Shoreline Amphitheater. We look forward to continuing to work with Dave Grohl and Company and interfacing with Foo Fighters fans right up until the North American tour ends in early October, after which we’ll be jumping on tour with 2014 Summer Tour partners and friends, Beats Antique! 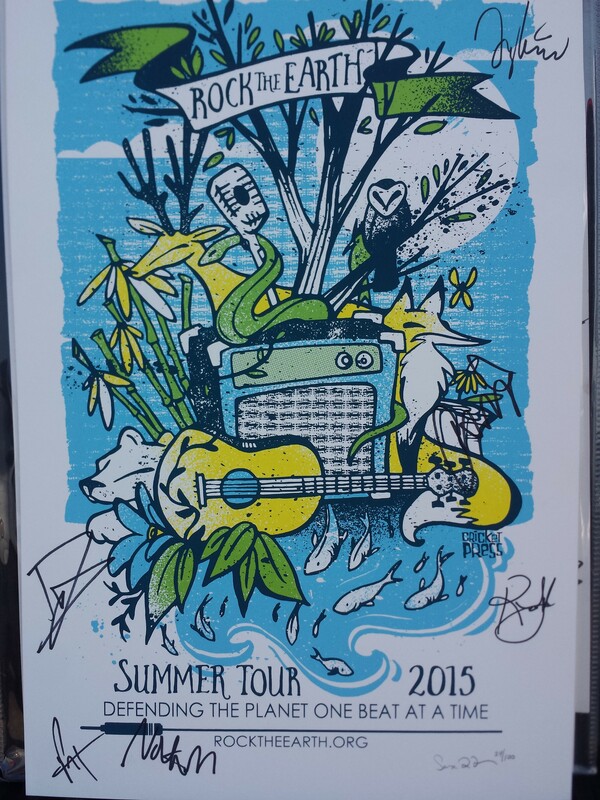 Everyone who signs up for a Rock the Earth membership at one of the Foo Fighters shows gets entered in a drawing to win a 2015 Rock the Earth Summer Tour poster signed by the band! 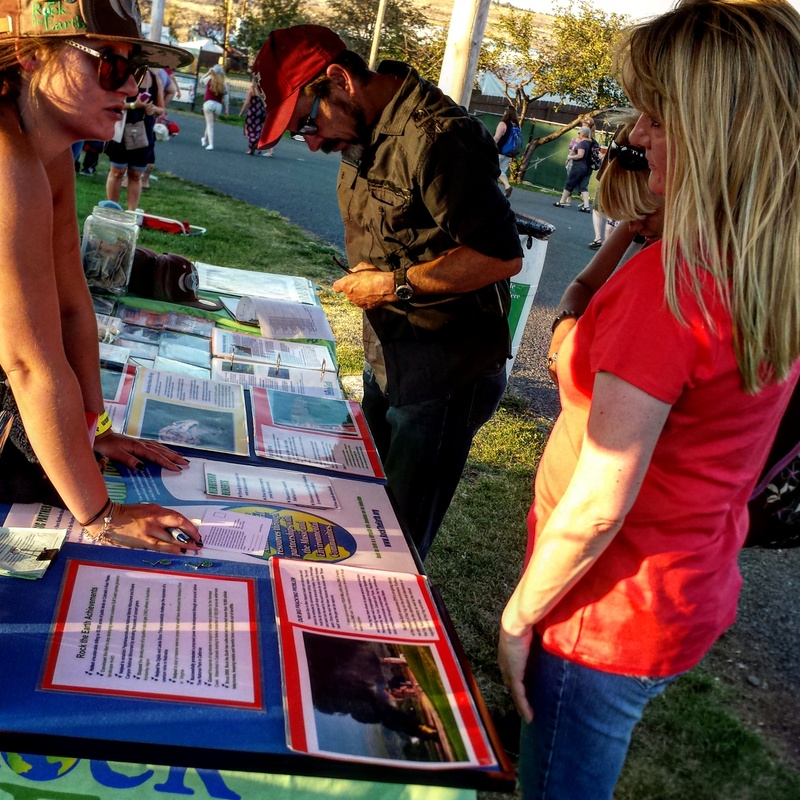 Meanwhile, back in Colorado, our efforts to garner support for more wilderness protection in Colorado’s Central Mountains continues, where our core team of Jordyn and Abby have been leading our volunteers at shows throughout the region. Not only did our local team lead a pair of shows that kicked off our tour with Foo Fighters at Fiddlers Green, but they also led a pair of shows with the band we have worked more shows with than any other: the Dave Matthews Band. Throw in some Jackson Browne, Hall & Oates, STS9, Railroad Earth, and O.A.R., and you have a pretty eclectic few weeks of tabling in Colorado! Looking ahead, later this week is the annual hometown throwdown by Big Gigantic at their Rowdytown concerts at Red Rocks before we return to indoor venues as the weather turns on the Front Range and the Red Rocks season comes to a close. It’s been an exciting and successful month for our environmental education and activation work and we know as we look to fall it’s not over yet, with outreach expected to last into the early frosts of winter. For a full list of our Tour Dates, GO HERE.